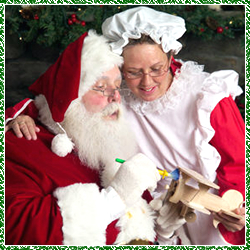 Are you looking for Santa and Mrs. Claus for your next special event in the Rhode Island area? Look no further, this Santa (George) has been portraying the big fellow for over 30 years! Santa George exudes a Christmas charm like no other – hire the best this year and give this real bearded Santa in Rhode Island a call to come to your Christmas party or Holiday celebration!